Be it enacted, that all and every one of the persons who on the first day of August one thousand eight hundred and thirty four, shall be holden in slavery within such British colony as aforesaid, shall, upon and from and after the said first day of August, one thousand eight hundred and thirty-four, become and be to all intents and purposes free and discharged from all manner of slavery, and shall be absolutely and forever manumitted. Emancipation Day, also called “Augus’ Mawnin,” was officially introduced as a public holiday in Jamaica in 1893. The celebrations, however, were discontinued in 1962, when Jamaica gained independence. It was replaced by Independence Day, then observed on the first Monday in August. 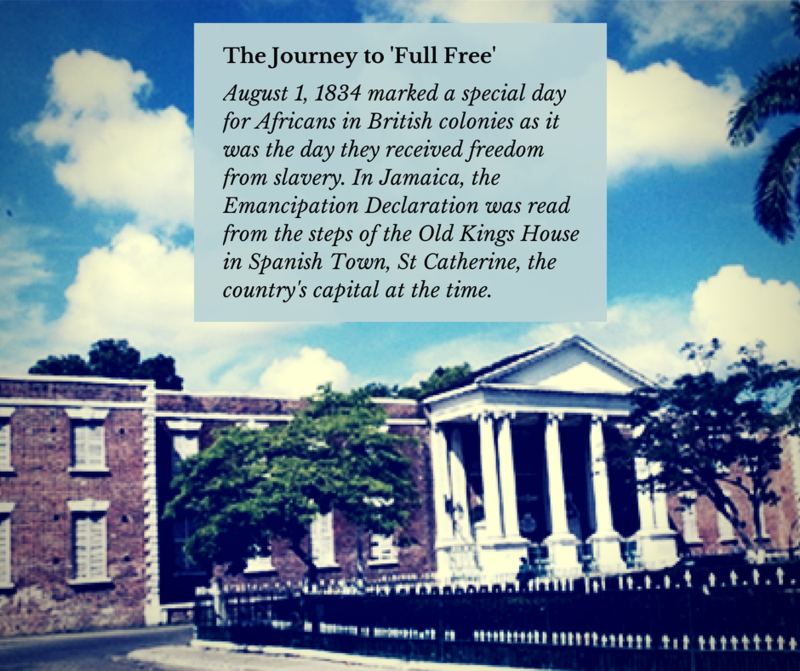 Emancipation Day was re-instituted in 1997 by then Prime Minister PJ Patterson as a national holiday celebrated on August 1. Independence Day was also fixed at August 6.